We'll help you select the loan most suited to your needs from over 300 loan products from more than 25 lenders. How many banks do you really have time to visit yourself to compare products? Two? Three? Four? Calling Home Loans Now is like having over 25 lenders competing for your business! And we'll even bring them to you. We can visit you at your home or office anywhere in South East Queensland at a time that suits you and we'll handle the entire application for you - no more bank interviews! If you are located outside of our service area it's not a problem. We can still help you select a loan that best suits your unique financial position and then process the application just as easily by phone, e-mail and fax - no matter where in Australia you live! Our mobile loan consultants are not only well trained, but highly experienced as well. Each has many years direct experience in residential lending - very few companies can make that claim! This experience is one of the main reasons people choose Home Loans Now over other mortgage brokers. No matter how unique your situation, Home Loans Now consultants know how to get your loan approved quickly and with a minimum of fuss. After all, choosing the right loan can save you thousands of dollars in interest and let you own your home years sooner. Considering refinancing? There may be better loans on the market than what you've got, but there are costs involved in refinancing. We'll be happy to help you decide if refinancing is a cost-effective option, and if it is, to help you choose a product that will save you money. There's nothing more frustrating than not being able to buy the house you want because your bank won't lend you enough money. Many people fail to realise that different lenders will lend vastly different amounts to the same person in the same circumstances. ...all based on the same application! The reason is that all lenders have their own 'preferred borrower' profile. Some lenders prefer wage earners and are tough on self-employed borrowers. Others actively seek out self employed people. 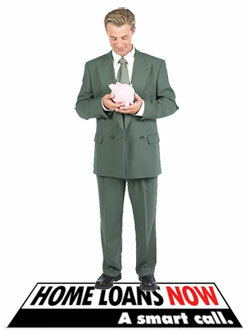 Some lenders don't like investment or interest-only loans... others do. Some lenders won't touch borrowers with less-than-perfect credit records, but other lenders on our lender panel can offer credit-challenged borrowers very attractive interest rates and terms. The list goes on... the point is that we'll take the time to really understand what you want, and we know which lenders are likely to offer the right product - and the most money - for your particular circumstances. Our service as a mortgage broker is COMPLETELY FREE - how's that for value? One of the biggest advantages we offer is CHOICE. Our lender panel ranges from some of Australia's largest financial institutions to small regional lenders that you'd probably never even think of. But some of these smaller lenders have created excellent, VERY competitive loan products to help them expand nationally without having to establish an expensive network of branches. Let's face it... If you're buying a property in Queensland, would you normally consider products from BankWest (Western Australia), Homeside Lending, Citibank, etc? Probably not, because you don't see many of their branches around Brisbane. But they have some excellent products... and Home Loans Now consultants know exactly what they are, and how they compare to the loans you see advertised every day. Of course, our lender panel also includes some of Australia's largest financial institutions to give you the widest possible choice of products.